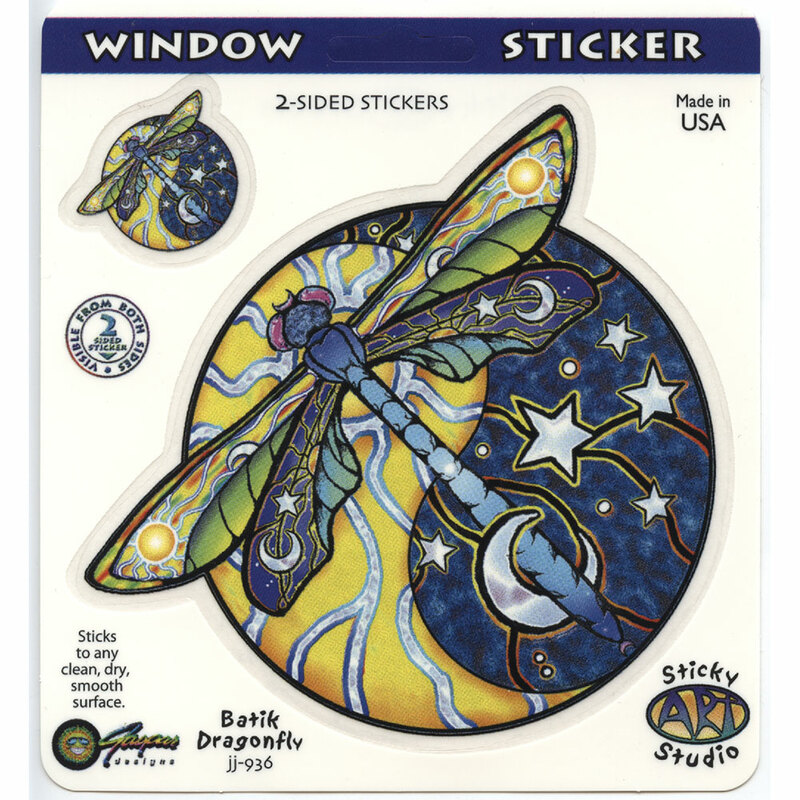 Cosmic Dragonfly printed on a double sided Art Decal Sticker. 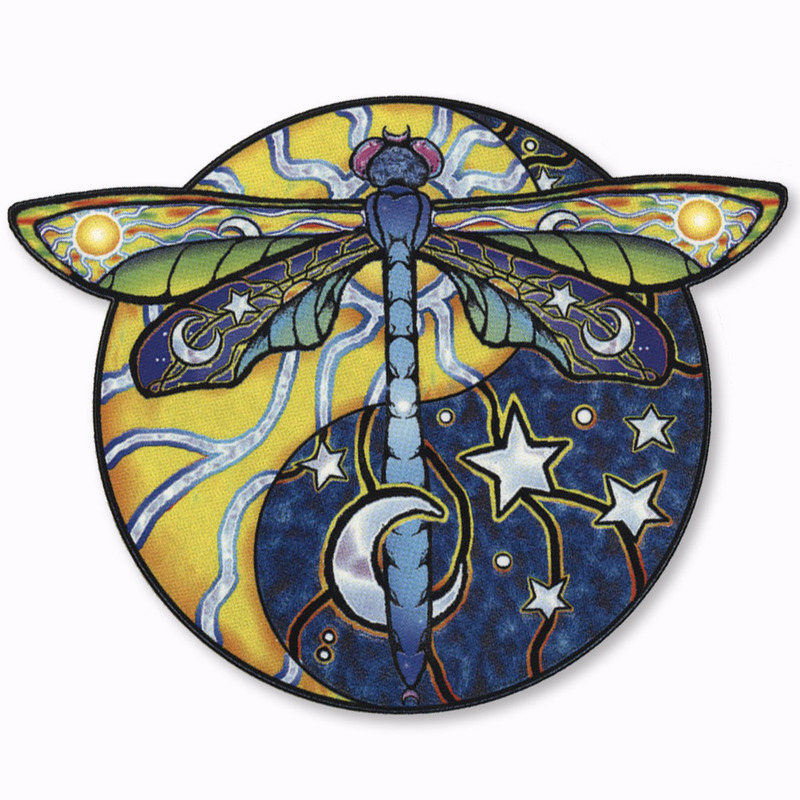 This high quality mylar decal has a dragonfly set across a yin-yang symbol. 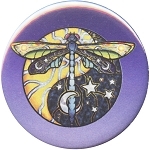 The two sides of the yin-yang represent night and day, one side yellow with a sun, the other deep blue, strewn with a moon and stars. 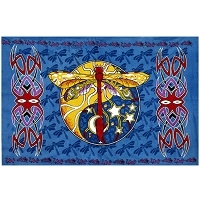 The wings reflect the Sun and Moon motifs. 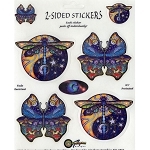 The top wings illustrate sunrise with crescent moon setting on a horizon. 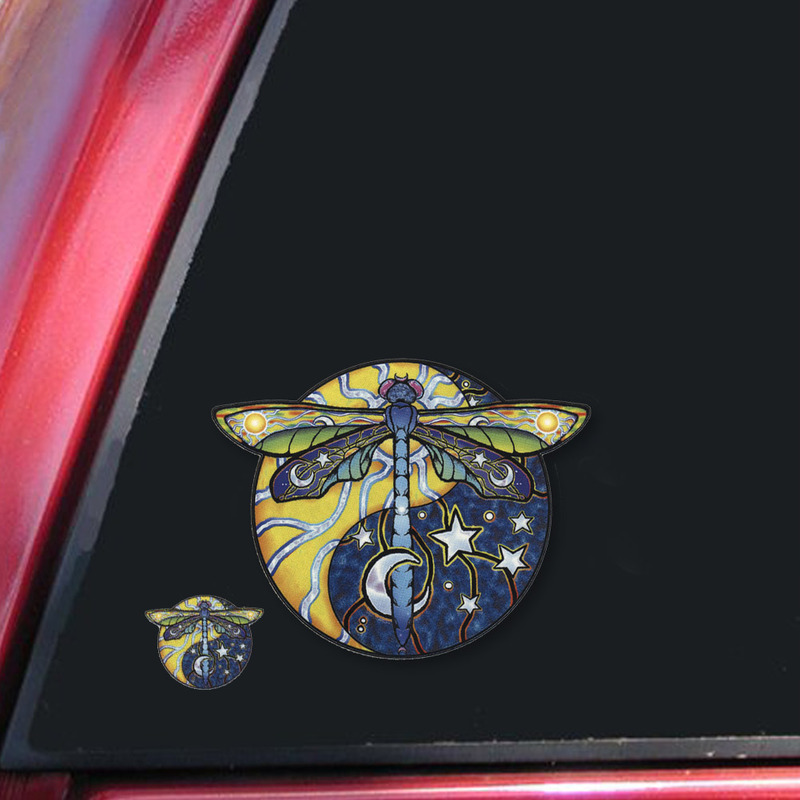 The bottom set shows night sky with a sun just setting. 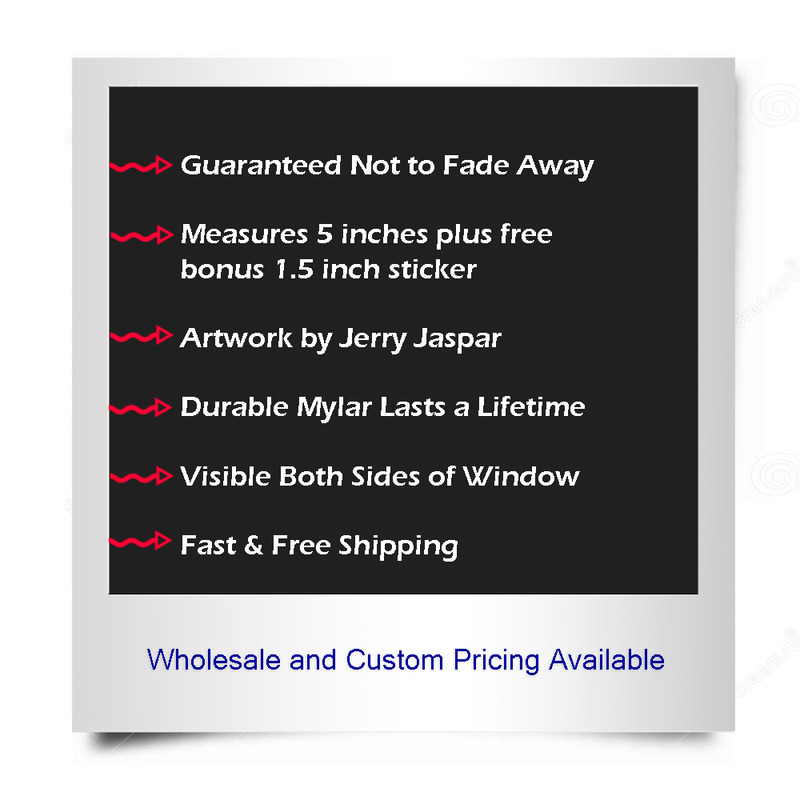 Measures 5" across and includes a free 1" bonus sticker. 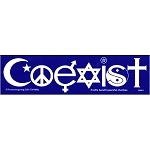 This Peacemonger original sticker applies on either side of a window, and is visible on both sides. There is a hole punch on the card for wholesale display purposes. Apply to our strong magnetic material or static cling transparent material for removable dynamic application.